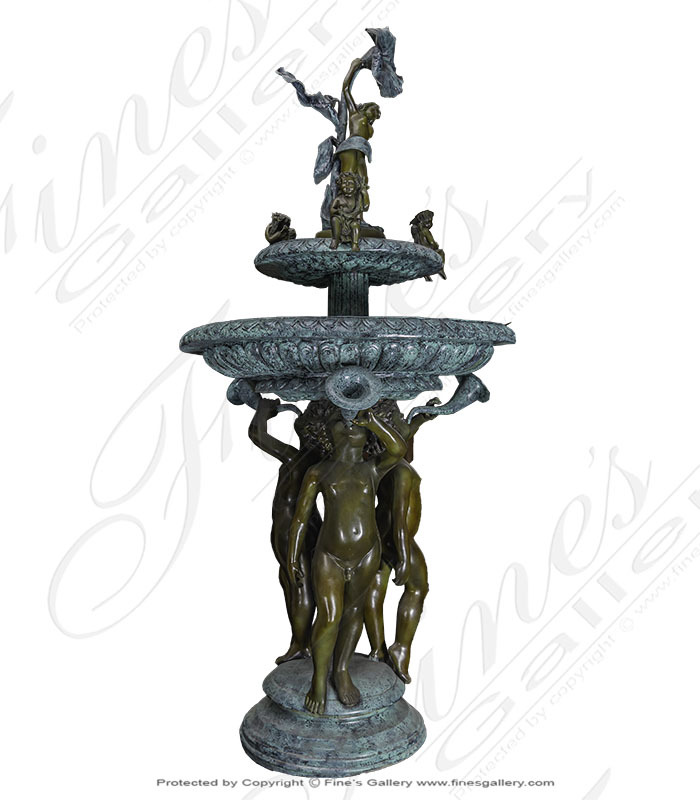 An elaborate design features a fairy pouring water from a lily pad onto the two tiered fountain with cherub figures sitting around detailed basins. Granite pool surround sold seperately. Yes I would like more information on BF-110.